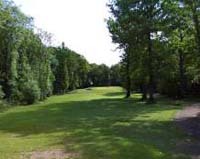 Located amidst the beautiful Surrey countryside, Bowenhurst golf club offers a picturesque nine-hole, parkland golf course, which is ideally suited to beginners looking to take their first tentative steps in the game, although there is much to challenge more experienced players also. The narrow fairways and cleverly positioned hazards, in particular, require thought and accuracy from the tee. The two lakes provide distracting natural water features also. The club benefits from extra facilities including a 24 bay driving range, two practice putting greens, a practice bunker and a well-stocked club shop. Private lessons are also available for those who feel they could use a little advice and pointers in the right direction.